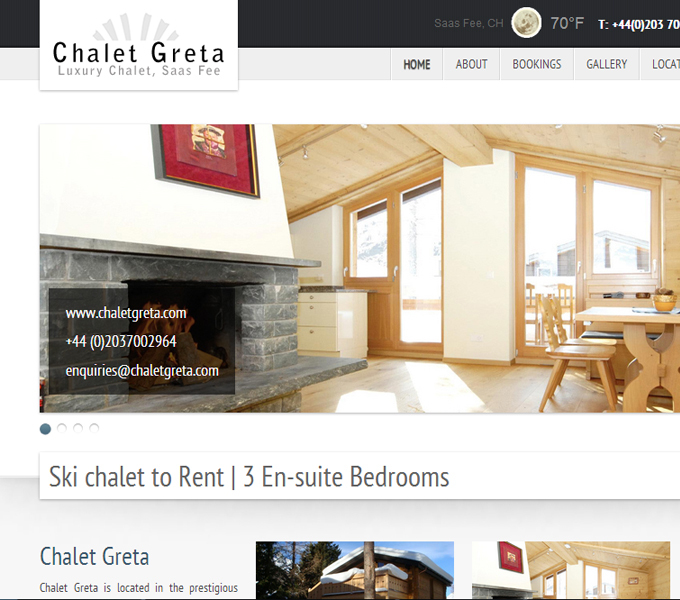 Chalet Greta is located in the prestigious Wildi area in the sunniest part of Saas Fee. This luxurious completely detached self-catering chalet is bright and airy and provides accommodation for 6 guests via three en-suite bedrooms. Designed with comfort and ease in mind this recently refurbished Chalet has a well equipped kitchen, real log fire, cable TV and Wi-Fi Internet access.